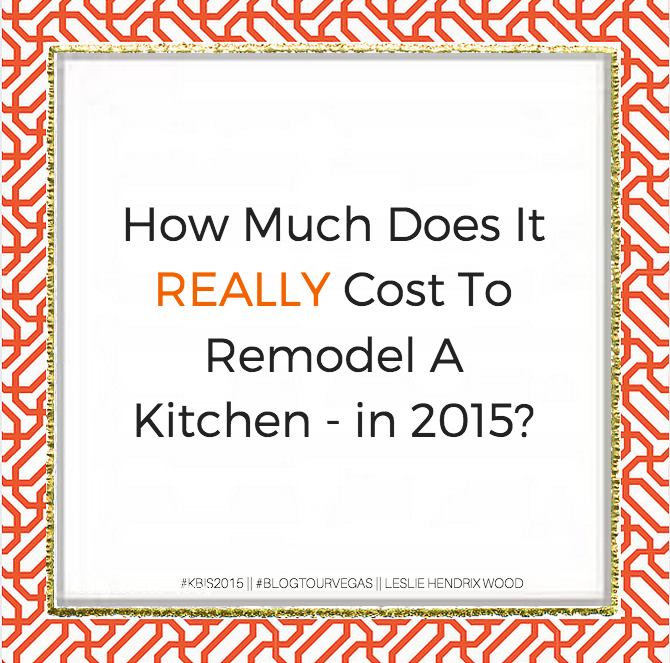 How Much Does It Cost To Remodel A Kitchen - In 2015? 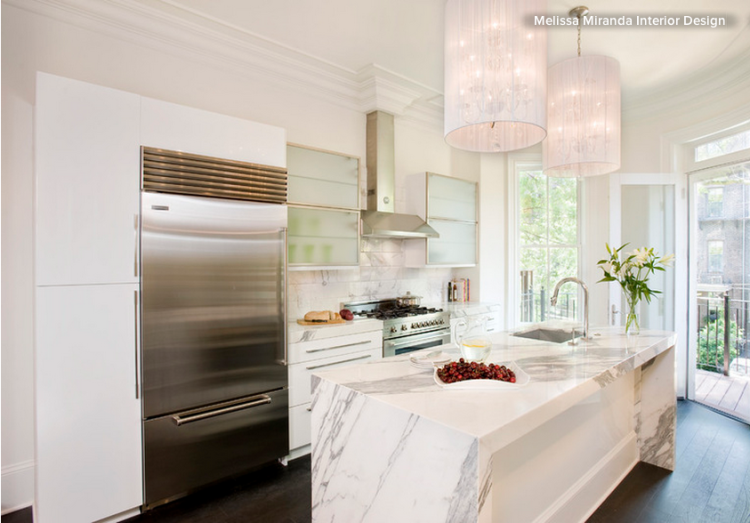 How Much Does It Cost To Remodel A Kitchen – In 2015? 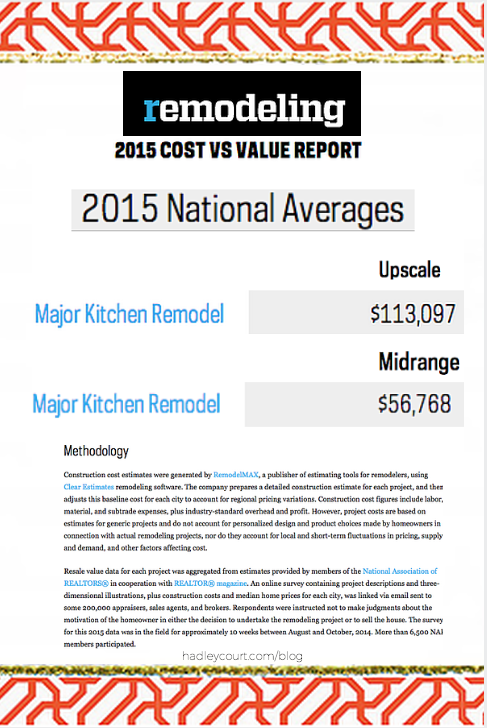 How much does it REALLY cost to remodel a kitchen – in 2015 ? One of the reasons we wanted to take a look at this oft asked question again – and in this way- is because the Houzz survey indicated an average amount homeowners planned to invest in their kitchen remodels and it was quite low according to some of the country’s top professional kitchen designers and remodelers that we surveyed for you. We wondered why they thought the figure was so low and decided to ask them, as they are the ones working in the field every day with readers like you who can afford a professional designer, but still aren’t sure what a kitchen remodeling project should really cost in today’s market. So, Houzz’s average price for a kitchen remodel, included DIY projects and minor renovation projects and that skewed the number very low – in the range of 25,000.00. We don’t think *DIY kitchen remodeling* and *minor kitchen renovations* are what many of you have in mind when you think “kitchen remodeling.” We think you have in mind a whole kitchen remodel, with professional assistance, so you get the kitchen of your dreams, and that’s what today’s post will address. Before we start,we’d also like to add that kitchen remodeling shows on HGTV and other channels often leave out many important factors when showing you what the average cost of a kitchen remodel might be – factors like HVAC [air flow] considerations and the correct placement of vents and ducts so mold doesn’t grow in your home causing health issues for your family, interior cabinet pull-outs for storage and organization that make most modern kitchens functional, the labor for construction, plumbing, carpentry, electrical, and the design fees professionals charge to help you design and manage the process of getting the kitchen you’ve always dreamed of having. We hope today’s post will help you, dear readers, understand the facts of what a kitchen remodel REALLY costs, for a 200 square foot kitchen, in different investment ranges, so you can make somewhat informed financial decisions to get the kitchen of YOUR dreams. Kitchen designer and author, Kelly Morrisseau, CMKBD, CID – lead kitchen designer at MSK Design Build in Walnut Creek, CA, Rose Dostal, AIA, of RMD Designs, LLC in Hudson, Ohio, Susan Serra, CKD, CAPS – founder of Susan Serra Associates in Long Island, New York, Kitchen designer and author, Robin Siegerman, CKD in Toronto, Canada, interior designer Carla Aston, in Houston, Texas, Susie Feia, principal of Feia Construction in Waukesha, Wisconsin , Rhonda Knoche, CMKBD, CAPS, owner -Rhonda Knoche Designs, Portland, Oregon, kitchen designer Cheryl Kees Clenendon, principal, In Detail Interiors – Pensacola, FL – and a special thanks to national HVAC expert, Chris Laumer-Giddens, principal of LG Squared in Atlanta, GA. The type of kitchen cabinetry you choose will be the biggest determinant of the overall investment in materials [ not labor and not professional design and project management fees, which are discussed later in the post ] that you will need to make in remodeling your kitchen. Factors that impact your kitchen cabinetry cost will include: the type of wood species chosen, whether the cabinetry style you choose is standard *off the shelf* box cabinetry like you might find at IKEA, semi-custom luxury cabinetry where you have many choices in door styles and finishes and where the construction quality is similar to fine furniture, like you might find from #BlogTourVegas sponsor Wood-Mode, whose beautiful cabinetry is shown in the opening picture, or from #BlogTourVegas sponsor, Poggenpohl, who offers luxury cabinetry with a more modern look. 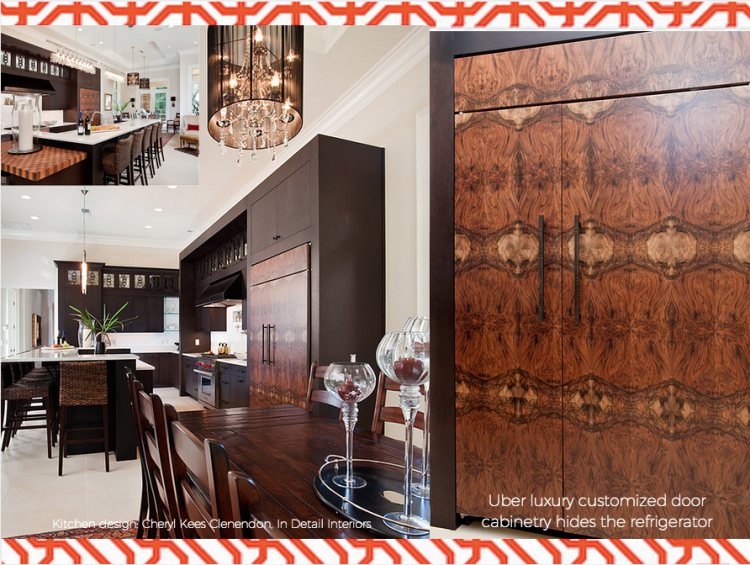 Or, it could be completely custom made cabinetry with detailing that coordinates with special details in your kitchen and adjacent rooms, like you see below on the uber luxury completely customized kitchens by Cheryl Kees Clenendon and Susan Serra. In addition, other factors impacting cost of cabinetry will be what type of door type you choose [flat panel, inset, etc ] and what type of finish you choose for your cabinetry, for instance, a simple laminate finish, a semi-custom painted finish, or a completely custom finish. Experienced kitchen designers will be able to show you cabinetry from several different manufacturers and be able to explain in detail why one cabinetry choice is more or less expensive than another. For the beautiful cabinetry shown in magazines like Architectural Digest, World Of Interiors, House Beautiful, Veranda, Elle Decor, Traditional Home, BHG’s Kitchen and Bath Ideas, you will almost always see kitchen cabinetry that falls in the luxury or uber luxury price range – with exquisite detailing and finishes, as this is what a professional kitchen designer specializes in: helping you have the kitchen of your dreams – a kitchen completely personalized to harmonize with the rest of your home, one that reflect your tastes, how you cook, how you entertain and how your family likes to move about in the kitchen and relax while eating, like the one below by Rebecca Reynolds, CKD, as featured on the cover of Kitchen and Bath Ideas. Noice the ceiling details, the lighting details, the mix of different woods, the dropped soffits, etc. This type of kitchen is why you hire a professional kitchen designer to work with you. A note: many interior designers will call a professional kitchen designer in to work together with them to create a beautiful kitchen for you. Kitchen design is a very specialized field and if your interior designer requests your permission to add a professional kitchen designer into your budget for just this phase of planning your home, consider agreeing – to get the best results, especially when you are considering a luxury or uber luxury level kitchen remodeling project. Your next big budget item re: materials will be your kitchen appliances: your cooktop/range, your dishwasher, your refrigerator, microwave, range hood, warming ovens, wine coolers, etc. There are many different price ranges for each and every appliance you can choose, and an experienced kitchen designer can quickly give you an overview of what brands are right for your needs and give you a general price range so you will know what to expect. 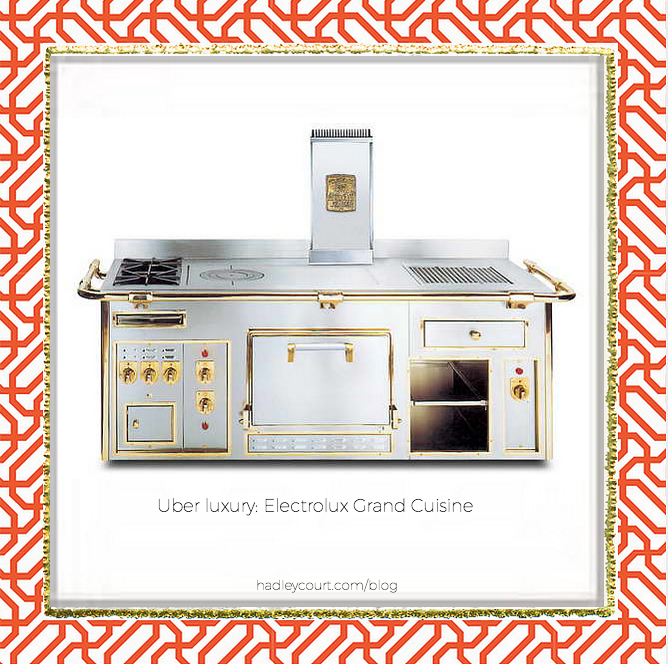 At the uber luxury end for ranges, for instance, are brands like Le Cornue [shown at the end of this post] and Electrolux Grand Cuisine, shown below. 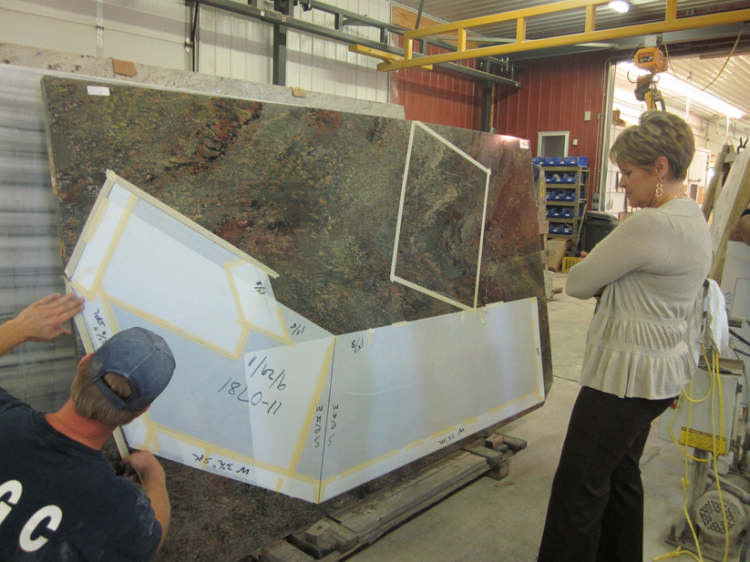 Of the big 3, countertops will usually be the 3rd largest component of your overall materials budget. What are factors that influence the price of your countertops? First, your material selection. Do you want a granite, a beautiful white Calacatta marble [the rarer marble, often confused with white Carerra marble- a less expensive option ], soapstone, recycled glass? 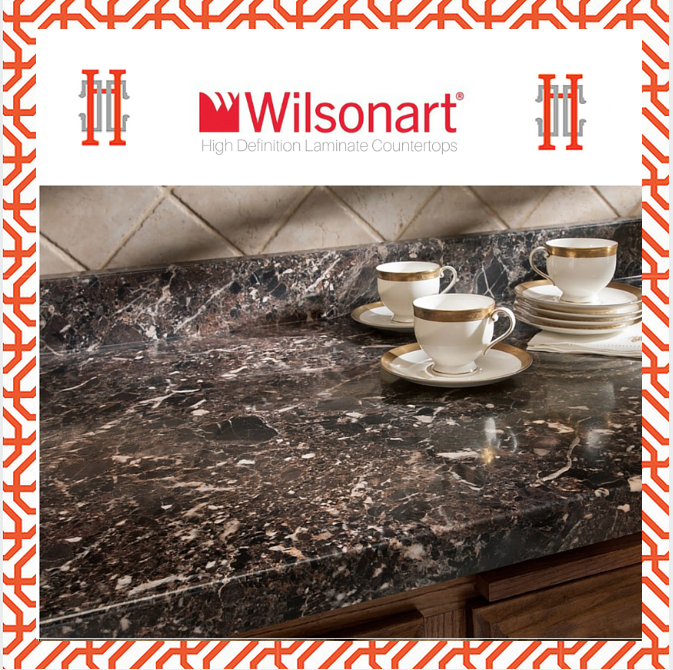 Do you want a completely customizable high definition printed laminate from #BlogTourVegas sponsor and Texas HQ’d WILSONART? Do you want custom colored concrete, or stainless steel? Your material choice will be your first decision to impact your countertop pricing. Next will be the thickeness and type of edge detailing you prefer. Edge detailing greatly impacts countertop pricing, especially with granite and marble. Slab marble, as shown below, is very popular in today’s luxury and uber luxury kitchens. What type of special cutting might be involved to resolve seaming issues so you don’t have unsighly seams ruining the flow of your countertop and trapping harmful bacteria? The picture below shows you the value in working with a professional kitchen designer that has excellent sub-contractors who are able to resolve seaming issues ahead of time, before a slab ever reaches your home. Many of you probably don’t realize show much care, time and work goes into resolving just the seaming issues on granite or stone countertops – a small aspect of what goes into giving you the overall kitchen of your dreams, but professional kitchen and interior designers do. Professional kitchen and bath designers are worth every penny of the approx. 20% or so they typically charge in design fees of your overall project investment. Imagine if you got this wrong? There goes your entire countertop and you would need to do it all over again and spend again – not to mention your lost time and the aggravation and how this would put all the other trades behind in their ability to finish their work, and the project overrun costs associated with that. So, what DOES it REALLY cost to get the kitchen of your dreams? 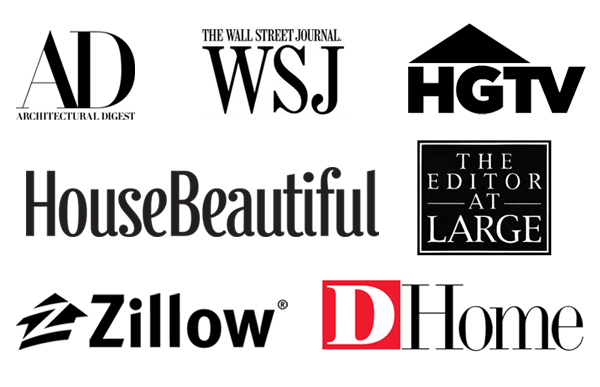 The graphic below shows you the latest data from REMODELING magazine, just out for 2015. Keep in mind that these are national AVERAGES, and many factors will impact the overall price, including the region of the country you will live in, and the availability of the best sub-contractors at any given time as labor is typically 60% or so of the overall investment you will make in your kitchen and the subs command premium prices, especially in areas of the country where there is high demand for their services. The best professional kitchen designers, however, will insist that you wait, if at all possible, and invest in working with their team of trusted subs and tradespeople that they’ve worked with over a long period of time. Your professional kitchen designer knows who really delivers on time, who communicates with the other subs well, and who takes care of the inevitable problems on a jobsite with speed and fairness and aplomb. This is part of the expertise they bring to your project. Word to the wise to save money: bringing in your own tradespeople to save money if you’re working with an experienced professional kitchen and bath designer is not a good idea as there are so many trades involved in a major kitchen remodel. Disrupting the knowledge that these tradespeople have developed about each others work methods over time, through working on a team with your professional kitchen designer, will not be worth it. It disrupts their work flow and communication patterns on your job site and causes headaches and delays, and these cost you more money in the long run than you will have saved. After looking at this, please realize that this data does not take into account the SIZE of your kitchen. So, if you have a very large kitchen, you’ll need to add to these figures. If you want UBER luxury and completely custom, your kitchen price – depending on the size of your kitchen – will be anywhere between $250,000 to 600,000 or more. 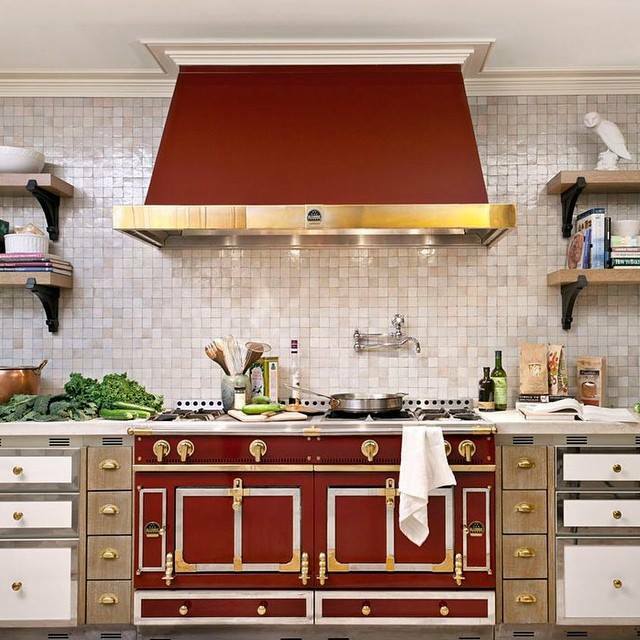 Certain ranges, for instance, are $100,000 or so – like the one we shared above and the range and hood combination from Le Cornue, shown below. These ranges are being put into many New York City penthouse kitchens, where cooking is a form of entertaining and where personal and professional chefs are often called upon to prepare meals for an important occasion at home. From the survey of professional kitchen designers, remodelers and HVAC experts surveyed in this post, who are currently working in their respective specialties every day, in major metro markets like San Francisco, Houston and the New York City area, their answer regarding the investment needed for a professional kitchen remodel for an approximately 200 sq. foot kitchen was $120,000 – $150,000. For those working in secondary real estate markets, their number was a little lower, approximately $80,000.00 for a 200 sq. ft. kitchen remodel. Lastly, here is a list shared by these experts about the other factors that could/will impact your kitchen remodeling investment. We would love to know what your experience with pricing has been if you’ve recently remodeled a kitchen and, if you’re a professional kitchen and bath designer, we’d love to hear your comments on this post, too. and again, a sincere thank you to the professional kitchen designers, remodelers and HVAC experts who took the time to give us detailed feedback for this post – to insure accuracy. 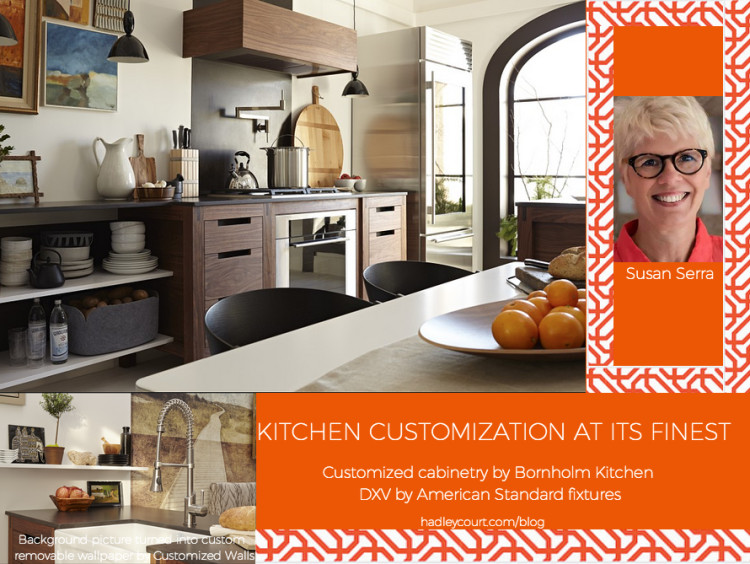 Leslie Hendrix Wood and I look forward to seeing many of them at #KBIS2015 , the National Kitchen and Bath Association tradeshow next week and we can’t wait to bring YOU, dear readers, our thoughts about the best new products and ideas for your luxury kitchens that we see at #KBIS2015 and Leslie also looks forward to bringing you her #BlogTourVegas sponsors exciting new kitchen + bath introductions, here on Hadley Court. And, stay tuned this Thursday for a VERY special post from HC contributor, Lynda Quintero -Davids. You won’t want to miss it! We invite you to please follow Hadley Court on our other social channels, too, by simply clicking on each of these links. Here in the UK, one can easily renovate his kitchen and not be quite luxurious for around 3000-5000 pounds. However, most of home owners or clients always skip the part with the waste. You remodel, you produce waste that has to be disposed of somehow. In some locations you need permission and so on, so they do skip the waste disposing costs at the start. I really appreciate the information on how much it costs on average to renovate a kitchen. I can see how the average renovation would be around $25,000. There are a lot of things you have to change when you are renovating your kitchen so that amount seems appropriate. My wife and I have been living in our house for about ten years now and we think it is about time to renovate our kitchen. Sometimes changing things up is good for you. Awesome post! Thank you for pointing out the things that the remodeling TV shows skip over. I think I would need to remodel my kitchen a little at time looking at these costs. Thanks for the post! It really depends on what you would like to do with your remodel. Some people go all out and completely rearrange their kitchen while others just get new cabinets. The cost will be different for each project, so trying to say how much a kitchen remodel would cost would be difficult. There are too many factors to consider. What you can do to make sure a remodel isn’t too expensive is to make a budget and stick to that budget. Finding and hiring a highly skilled general contractor for bathroom remodeling in Las Vegas is a much more daunting task than I ever expected. Amazing!! In this post, you have described very well about kitchen remodeling. Every point is really useful and interesting. Yes!! 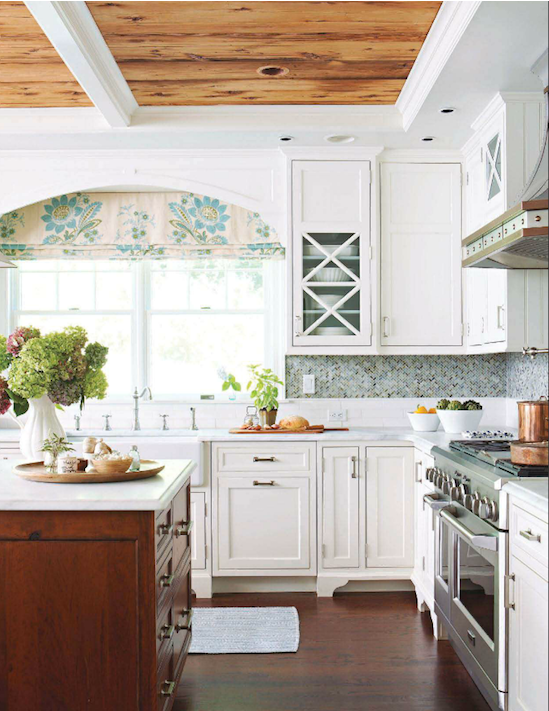 All the kitchen design is really adorable and really great job who can build their kitchen. Leslie, I really like your input about kitchen cabinets. My husband and I have been wanting to remodel our kitchen for a long time now but we aren’t sure what we want to do with our cabinets. I agree that they style of the door, color and finish make all the difference in the world. I have always liked the rustic feel that comes with a more sanded finish. Thanks for the tips! A lot of factors can and will affect the cost of your kitchen remodel: materials, location, labor, unforeseen problems, etc. Materials, for example, will be one of the biggest factors in the total cost of the remodel. In many cases, more expensive materials require special installation, which increases labor and time expenses. Installing less expensive materials yourself will decrease the total cost of your remodel, so choose your kitchen remodel materials carefully. I think it all depends on what kind of appliances and accessories you end up using for your kitchen that will determine the overall price of everything. I think the best thing you can do is to budget your money and try to stay within a certain spending range. That will keep you from spending too much money on remodeling. Well it’s good to know that I was not too far off on my own personal estimates. As with anything else involving remodeling, there could be other costs that creep, but also certain things that no longer are required–saving money. This is a good starting point for my wife and I as we contemplate remodeling our kitchen. She wants to have the kitchen of her dreams, but also wants to be able to buy food to cook in it too! It’s good to hear that you were pretty accurate in your estimates. Remodeling a luxury kitchen is an investment, and since your wife wants the kitchen of her dreams, we’re glad this post could help you discern the true costs. And, you’re right, there is always a bit of cost creep but an experienced professional interior designer can suggest smart, inventive ways to save money in other areas, so that your entire project runs on budget. Good luck, Doug! Thanks for reading Hadley Court. We appreciate it and appreciate your kind comment. Thanks for the information. I’ve been wanting to remodel my kitchen. Mine just seems so outdated. I’d love for it to look like the white and brown kitchen you showed. How much does something like that cost? Let’s just hope that it’s a reasonable and doable price! This is very helpful information, because my wife and I have been looking into getting our kitchen renovated this summer. We think that this is the perfect time for us to get this done. Hopefully we can get a contractor out here to get all of this taken care of soon. It’s so nice of you to leave us a comment, thank you! We are so glad you found this post helpful and wish you good luck with your kitchen renovation this summer. Make sure you check references for each and every contractor, and check that they are bonded, too. Hello, and thank you very much for having shared this information on remodeling a kitchen in today’s economy. It’s true, remodeling a house can be a very fun and exciting project, but it is good to be aware of the cost of products and other factors before starting. I think it’s good to research and get bids before hand to make sure you can get all the materials and products needed for your project. Thank you for your great comment, and it’s so true. Getting bids is very important, but as you are probably aware, not all bids are created equal, even though they may look like it on the surface. That’s why working with a professional designer is so important. They know what to tell you what you don’t know, and can save you so many costly mistakes. We appreciate you stopping in -thank you for reading Hadley Court! Wow, these kitchens are amazing. I wish I could afford a remodel like this. Now I understand why having a kitchen like this means hiring a personal chef as well. This was really informative. Thank you for sharing. Hi Johnny: Thanks so much for stopping in and leaving this comment. We’re so glad that this post inspired you and that you now have a better idea of what’s involved in building a luxury kitchen. Thanks for the information on kitchen renovations and costs. I find it interesting that you say that a professional kitchen designer is worth every penny when it comes to counter tops and the like. I’m considering remodeling my kitchen, and I’ve noticed that counter tops are really what pull kitchens together. My parents, for example, just installed some gorgeous granite that brings out their wall color while complementing it nicely. Thanks for the advice! Hi Jane and thank you for the nice comment! It’s great to hear about how your parent’s countertop choice impacted the overall look of their kitchen in such a beautiful way. These are exactly the types of choices a great interior designer can help someone make, as they often have the ability to visualize in 3D, when the normal person may not. We appreciate you being a reader of Hadley Court -enjoy the rest of your week and good luck with your own kitchen remodel! I think it’s true that home improvement shows on tv can paint things in a misleading light, as the article seems to suggest. As it says, there are many things to consider that aren’t shown on the show but that cannot be ignored. That being said, with proper planning and budgeting getting a dream kitchen is certainly doable, but things should be kept realistic. Nobody wants to have debt when they are remodeling a kitchen. I think it’s a good idea to figure out the costs before you get involved in the project. Maybe I should start making some phone calls this weekend. My wife and I want to get started on our kitchen soon. 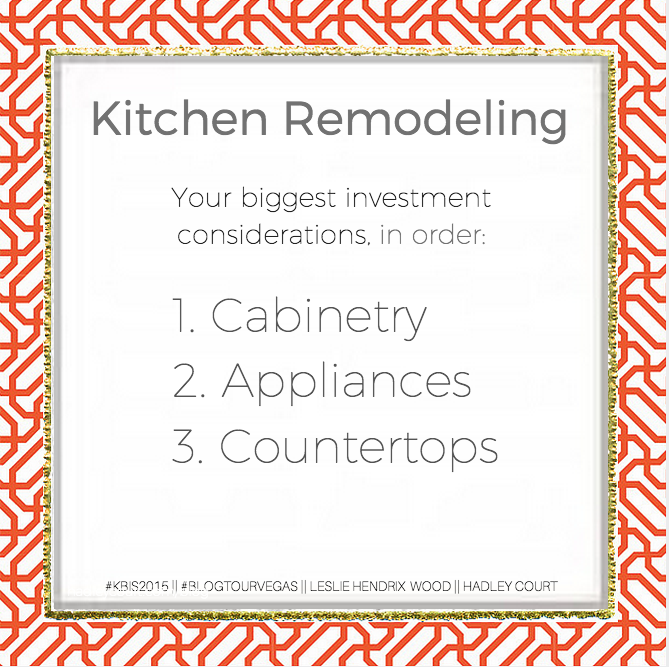 I am actually surprised that cabinetry is the biggest investment when it comes to kitchen remodeling. I suppose that it is fitting considering that changing the cabinets will probably change the look of the kitchen more than anything else. However, I still would have assumed that the appliances were a bigger investment. I have been looking into getting some renovations done, because we need some changes in the house. We can’t afford to move somewhere new, so we will bring the new to us. Hopefully I can make some renovations that will truly add to the value of my home. My wife and I have been wanting to get our kitchen renovated for a while. My brother renovated his kitchen a few months ago, and it has made us very jealous. Hopefully we can get someone out to our house to get this started soon. I have been looking into getting some contractors out here to get all of this taken care of. Great analysis and things to consider! Cabinets alone are a huge portion of the material cost of a kitchen remodel. Make them custom cabinets and that price jumps up again. It’s not easy to do a remodel, which explains the big price tag. Thanks for the article! Me and my wife have been thinking about remodeling our kitchen. We want to do it in the most cost effective way possible. We especially want to start with the cabinets. We appreciate your tips on saving a little money. We’ll be sure to follow them. This is a really helpful article, Leslie. The kitchens that are in the pictures look great, and are inspiring. I have been looking into getting my kitchen remodeled for quite some time. My wife and I have been looking at what our options are, and we are really excited. We have wanted to get this done for a few years now, we just never had enough money. Hopefully we can get this done soon. Thank you, Arthur! We are so glad you found it helpful and inspiring and educational. Good luck with the kitchen remodel that you and your wife are about to undertake. It’s a big investment and now that you’re ready,if you need any assistance from the design aspect, please don’t hesitate to contact Leslie Hendrix Wood through her website, http://lesliehendrixwoodinteriors.com. Have a wonderful Memorial Day weekend and thank you for reading and visiting Hadley Court! Thanks for the information. I’ve been thinking that I’d like to remodel my kitchen, but I want to make sure I do it correctly. I also want to make sure I am able to afford it. It’s good to know that, like you said, it shouldn’t cost too much. I’ll make sure I have a professional contractor come take a look. Before you start remodeling kitchen create a file of model kitchen pictures on magazine or search to the internet and show it to the designer so that they can able to determine what acctually design you want. 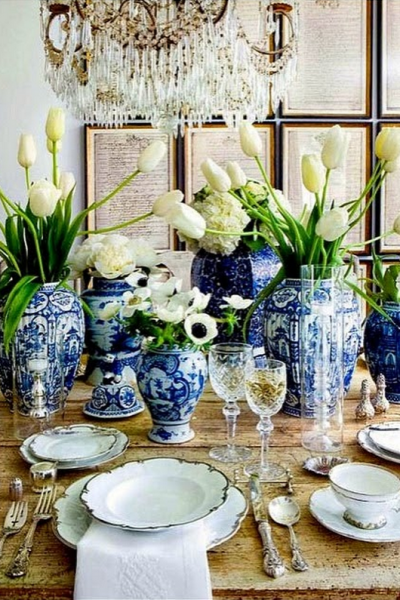 The more pictures you collected the better, it doesn’t matter how many pictures you collected which is important is that the designer will understanding your taste. I’ve always wanted to redo my cabinets and countertops. I really like the look of white cabinets surrounded by a sleek, granite countertop. I wonder how long this project would take. These are some lovely kitchens, and it is making my wife and I very jealous. I have been looking into getting our kitchen remodeled, and it is really exciting. We have had this kitchen for twenty years, and we know that it is time for a change. I have been looking into it, and we have some great options. I hope that we will be able to get all the things that we want. It’s true. Right after tax season there’s a bunch of money waiting to be spent. And the kitchen is definitely an area targeted. The numbers and the studies shown can help a newlywed couple to go ahead and plan for today’s budget and get what they want! The thing that really determines how much a kitchen renovation will cost all depends on the size of the kitchen. That is something that everyone has to know about before they can give you the price to do things. So you need to inform them of all the measurements that they need to know. It’s refreshing to see someone explain what the cost of their remodel was. Nice to see someone being real about what a kitchen can cost you. Thanks for posting. Thank you for showing what it takes to have a home renovation. My wife and I are going to renovate the kitchen sometime next summer. We have been saving up some money for it and we should be ready to go. This was great because it showed us how we can estimate the cost for our own renovation. Hi and thank you for letting us know this post was helpful to you! We are so glad to hear it and appreciate your time in letting us know! Good luck with your kitchen renovation! Great article! 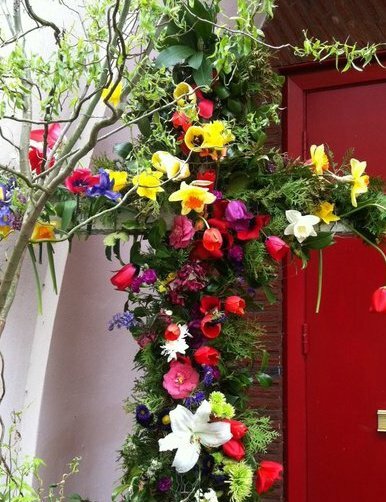 I saw a link to it on the Houzz/Gardenweb kitchen forum. I agree, the less expensive kitchens are usually the most creative and interesting. Hi Lavender Lass and thank you very much for sharing with us that you saw a link to it on Houzz’s garden web kitchen forum. We saw that , too, and found the responses to the post , there, to be really interesting and informative. Re: doing a post on smaller, less expensive kitchens > we think that is a great idea and will oblige in the coming weeks. 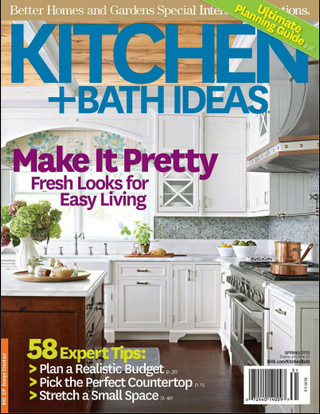 We have an editorial calendar that we stick pretty close to here on Hadley Court, but please be expecting to see a post on creative, smaller, but still luxurious kitchens, later this month, after Valentine’s Day. Thank you for inspiring US with this idea and visiting Hadley Court! While I haven’t read the whole article yet, I wanted to thank you for posting the details of a kitchen remodel and why they cost what they do. Hi Tim and thank you so much for taking your time to comment. You are so welcome and it makes us all here at Hadley Court happy to know this post was useful to you in helping you really understand why mid to upper end and luxury kitchens cost what they do and what really goes into creating one. We hope you will become a regular reader of HC, have a great week ahead and thank you again! As an architect here in the UK with my own London based practice, and also having had the pleasure of being a judge for the past 7 years on the Designer Magazine annual kitchen and bathroom design awards, http://www.designerkbawards.com/judges/, I am involved in the design of many kitchens, both in new build projects for flats and houses and also for refurbishment projects, where commonly we are ripping out the of kitchen and remodelling with new installations. I found your article very interesting from the US point of view and wondered if a similar study might have some relevance here in the UK. Interestingly, when we are involved in the judging process for the annual awards, their are two related categories for kitchens that are submitted. These are for designs up to £25,000 (about $38,000, and for those designs over £25,000 – which can sometimes stretch to £150,000 ($227,000). Normally we find that the lower spend category is the most interesting, with the challenge being to create something innovative, exciting, quality, practical and unique within the more restricted budget, whereas, the more expensive category, whilst sometimes producing submissions that encompass all the previous characteristics, and advance these even further, more often than not, tend to be simply larger spaces that house installations that are simply more expansive. For designers the challenges are usually more interesting when trying to create an amazing end product with limited resources, often pushing the boundaries of design creativity and use of materials in new and interesting ways. With kitchens now firmly placed at the hub of any modern living environment, and no longer just an isolated, enclosed space to cook from, its not surprising that more and more clients want to invest large sums of money in achieving the ideal space. However, in the hands of the skilled designer, it is possible to create amazing kitchen designs that can provide all the functionality and individualism that clients desire, whether you choose to buy components from a flat pack supplier such as IKEA, that might cost £7,000 ($10,000) or you shop for a luxury ‘brand’ costing 5 times that amount. Clients will often have some ideas already as to their budget expenditure, however, it is for the creative designer to take this budget and look at achieving the maximum ‘value for money’, and perhaps bring the costs in at a lower figure than the client had in mind. That’s what we always try to do! Hi Alan and thank you so much for taking the time to leave such a nice comment here. We appreciate it and totally agree that the well trained designer can take any budget and create something extraordinary. Providing *value for the investment* is exactly what all well trained designers do, and we hope every consumer who can invest in design services, at a minimum, realizes how much more money they will save by working with a designer who can extract the most from a space – no matter what the budget. Again, thank you for leaving a comment from your place of business there in the UK -we appreciate it! Finally an honest blog. I am currently right in the middle of a kitchen remodel and I do mean remodel, we have taken it back to the studs. It is a fairly small kitchen, but still costing me about $30,000. Also I am a realtor and I am always having to advise clients that a kitchen remodel may be more expensive/time consuming than they realise. I will be sharing this article. Thank you . Hi Samantha… thank you for that nice comment and it is just great to read what you’ve shared here about what your own small kitchen remodel is costing you. Thanks for doing that. Re: you being a realtor, it would be wonderful if you could help your realtor group know of this, and share it, too, so that more and more homeowners see it. I think it would be of so much benefit to American consumers everywhere if they saw this so they know what to plan for + why it really does save money to hire a professional designer to guide the process through to completion without wasted time and money. Again, thank you and share a pic over on our Facebook Page at http://facebook.com/HadleyCourt when you’re done! We’d love to see your newly remodeled kitchen! Hi Samantha and thank you for taking the time to leave such a nice comment and sharing that you will be sharing this with your realtor friends. My brother is also a realtor, and when I asked him -before he knew I’d written this post for HC, how much a good, professional kitchen remodel would cost in Houston, he immediately popped up with the answer: 80K. He’s been a realtor in our area for 23 years, so he knows. My intention with this post was to honestly educate people about what a professional kitchen remodel, similar to the type they see in national magazines like House Beautiful, Coastal Living, Traditional Home, etc. really does cost and, more importantly, why it costs what it does. There are so many ways to do *more with less* but for resale, as you probably well know, there is still not a better investment than a beautifully designed kitchen with current appliances. Thank you again for leaving a comment and good luck with your own kitchen remodel! Great post Leslie, I have a rough draft and had started writing a blog post about this very topic but since you covered it so well, I’ll reference yours instead. It will be part of a new project I’m working on so I’ll include your post. I know this took forever for you to write Leslie! Well done! Good morning and thank you so much for taking your time to write a comment and to share this nice compliment, Lisa. I sincerely appreciate it and the fact you’re willing to reference this article in your own post is just so nice of you. Good luck with your new project and we I will be looking forward to seeing it when it’s completed! And, you’re right. 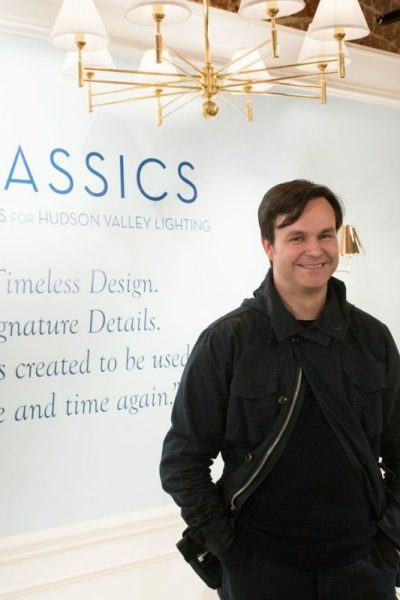 It took a long time to compile the data for this post and to write it, but it was worth it if it helps Hadley Court’s readers – and homeowners everywhere – understand what the real costs are of a quality kitchen remodel and the money saving benefits of working with professional kitchen designers. Have a great day ahead and thanks again. Hi Lisa and now, I think I know about your new project: the restoration of the kitchen in the Randall Terry home in High Point, North Carolina as part of the Junior League of High Point’s Designer Showhouse, sponsored by Traditional Home? If so, congratulations on this wonderful new project and thank you for offering to include this post in your own! I appreciate it and so does LHW. I can’t wait to see the process , Lisa , and you, at #HPMkt this Spring! Thank you Leslie for this wonderful post. I think this is a great lesson for both design professionals and home owners. I know I will be referencing back to this post often. Thank you so much, Jana, it is wonderful to read that you will be using this post as a reference, that’s just what we intended. We appreciate your comment ! Thank you – I am showing this to my husband because he is living in a fantasy world. We are redoing our kitchen and he still cannot get over how much everything costs! We are so glad, Shelley, that this post might help you help your husband understand what’s really involved in a mid range to upscale kitchen remodel. In the post, their is a link,too, to Remodeling Magazine’s report, so please share that with him, so he can see that the figures quotes are very accurate. Thank you, Shelley, and good luck in educating him. This is exactly why this post was written. To educate real homeowners like yourselves as to the real costs associated with kitchen remodles at the mid to luxury and upper luxury ends of the market. The resale values added to your home, after it’s completed, are an added plus. What a great article! Thank you for providing such valuable information! Thank you, Shannon, for stopping in to comment and we’re glad you found it valuable! Thank you for letting us know. We appreciate it! Thank you, thank you, thank you. What a wonderful resource this is! I’m going to share, share, share. Leslie, you are a designer’s best friend. Good morning, Anne, and thank you! I/we are so glad you found this post to be a good resource and your shares are very appreciated. The more it is shared, the more consumers everywhere will really know what the advantages are of working with a pro and what they need to consider and budget to have the kitchen of their dreams. Thank you for this great post! It is such a helpful and realistic expectation of what kitchen’s cost! 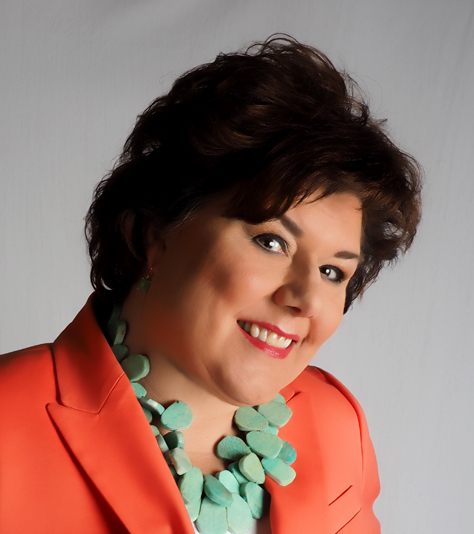 Hi Michelle… good morning and thank you for logging in and taking the time to comment. We appreciate it and are so glad you found it helpful. See you soon in Las Vegas! 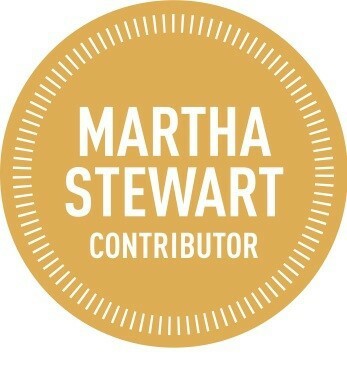 Hi Marilyn and thanks so much for taking the time to comment –Leslie Hendrix Wood and I appreciate it and we could not agree with you more on your point about education which is why we decided on this post to start off this week, before all the fun of the National Kitchen and Bath Association Show starts next week in Las Vegas. THIS post is a serious post, which addresses something all homeowners really DO need to know about the REAL costs of remodeling a kitchen and we appreciate all the sharing of it that designers can do, to help get the word out. When you share it, please let us know, so we can come back and say thank you! Have a great evening, Marilyn! Great information on home improvements in 2015! Such a great share!! Thank you very much, Leslie, for taking the time to comment and I hope this post reaches homeowners everywhere so we can, working together, help dispel the false ideas in the American marketplace promulgated by reality TV programs that don’t show the true costs of kitchen remodels or any type of professional interior design, due to their advertiser’s concerns. Have a good evening, Leslie, and again thank you! Lovely post that I plan on sharing on my Facebook page. Thank you very much, Jamie, for taking your time to leave a comment here. It is very appreciated. Leslie Hendrix Wood, the owner of this blog, and I, the writer of this particular post, are so glad you found it helpful and will be sharing it on your own Facebook Page. 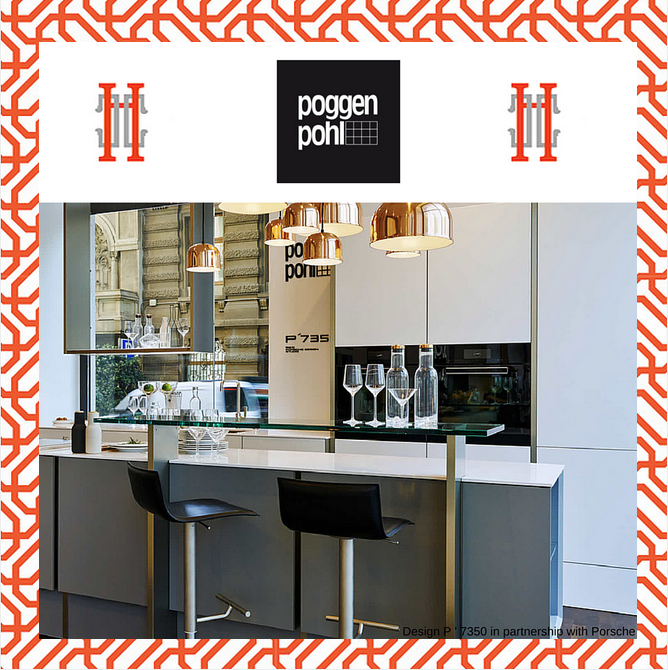 Collaborations between interior designers and professional kitchen designers are becoming more and more common as the kitchen becomes more and more specialized and that’s why I included that statement in the post. I don’t think most homeowners know that interior designers like Leslie Hendrix Wood and top professional kitchen designers like the ones I linked to are often working side by side now on this part of a project to make sure the luxury client gets the very best result for their kitchens. Bless you! A realistic view of kitchen remodels. Here in Sonoma County there are a lot of kitchen remodels. I feel that HGTV has done a great dis service to both the clients and the designers in painting an unrealistic picture of the process. THIS is realistic. I will be sharing across platforms. Thanks!!!!! Hi Irene and thank you so much for this comment. Leslie and I could not agree more regarding HGTV. Their programming has distorted the real costs of doing business with well trained design professionals, and this article is an attempt to set the record straight about the REAL costs involved. Thank you, too, for offering to share it across all your own social media platforms. That’s what it will take for it to reach consumers everywhere, so they know and can be prepared. Have a wonderful day, Irene, and thank you again! Great Post! I always try the Remodeling Magazine report as a reference. Now I can use this post too. Thank you, Ann, for taking the time to log in and leave a comment. I appreciate it/we appreciate it and are so glad you found this post helpful. Please try to share it where consumers might see it, so that they know what the reality is, versus what is being shown on HGTV and other shows like that. Thank you, Constance, for your wonderful comment. It was my intention to do just this for our readers and I hope this post will be shared widely so everyone knows what a professional kitchen remodel REALLY does cost. Thank goodness somebody finally publicly exposed what those tv shows blithely ignore!!! You carefully, thoroughly, accurately depicted REAL costs for a custom kitchen that is worth dreaming of! It is a pleasure to have somebody show the truth like you have with your post.